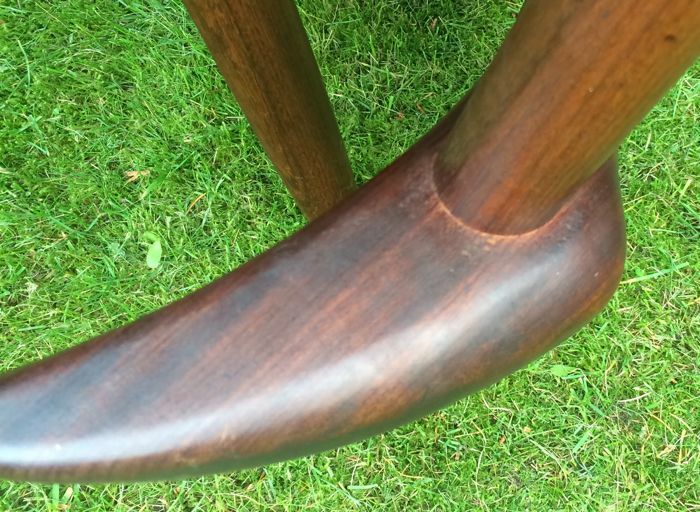 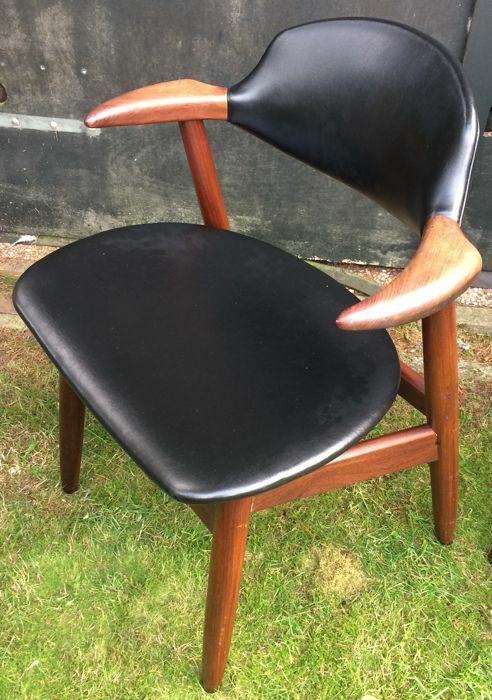 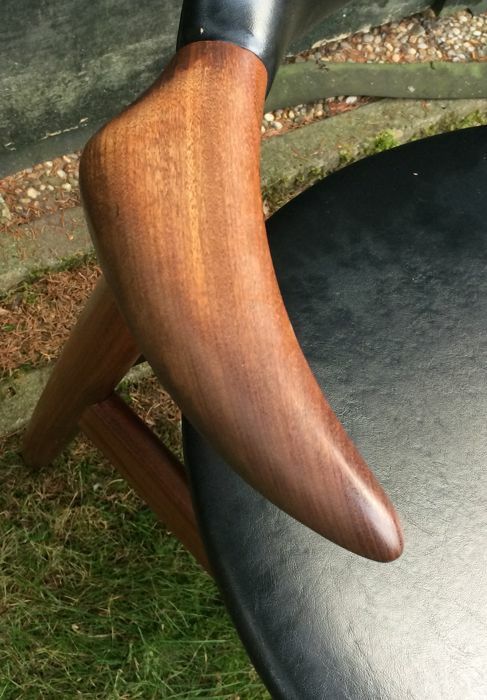 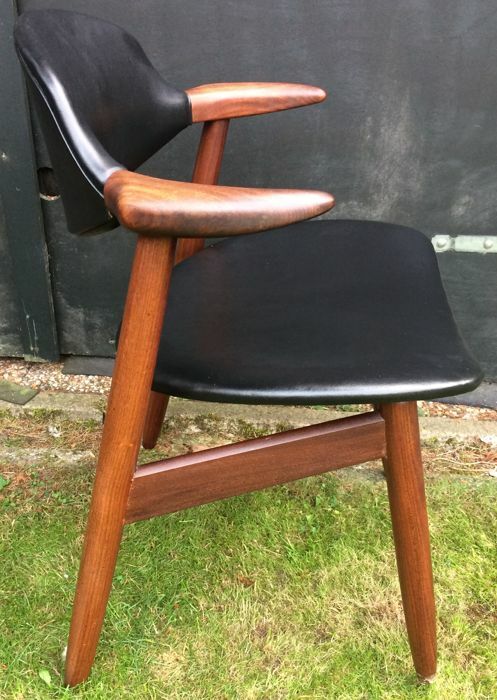 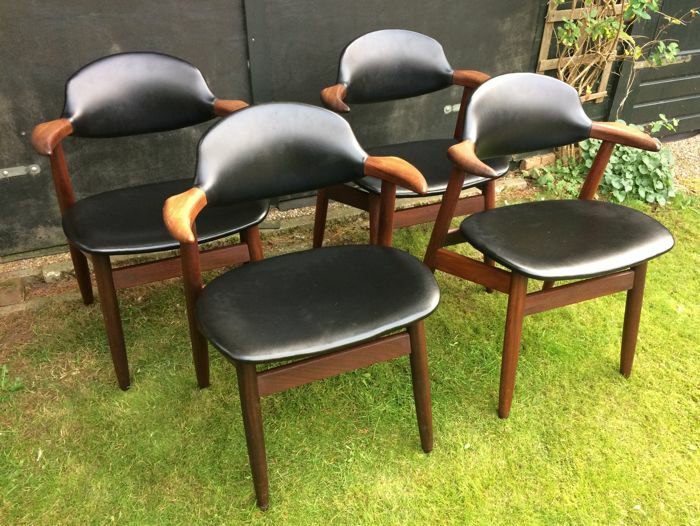 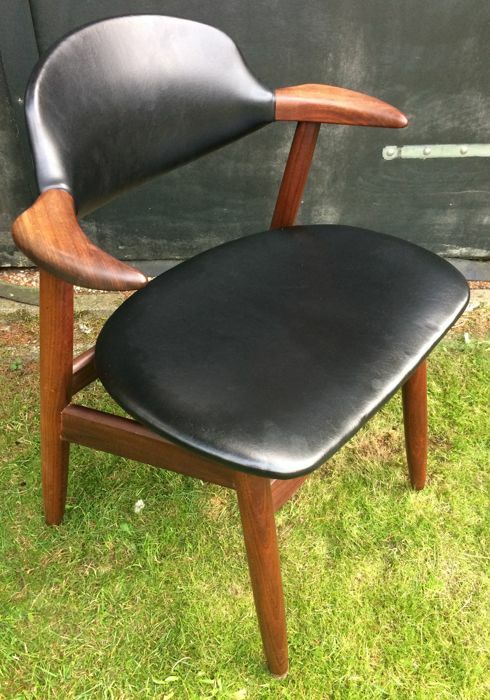 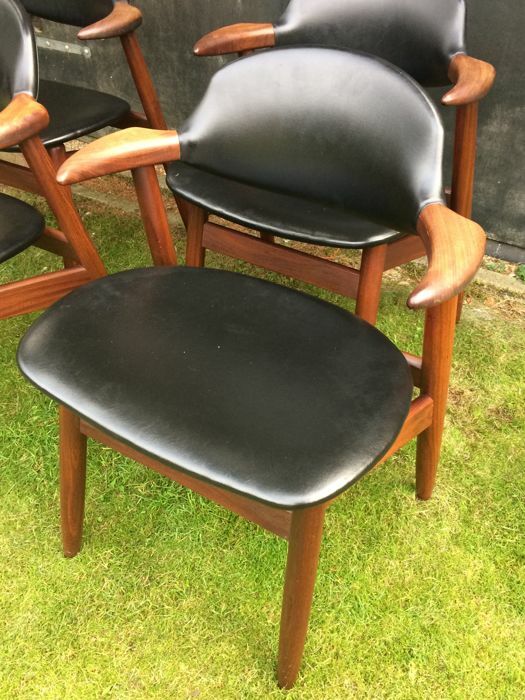 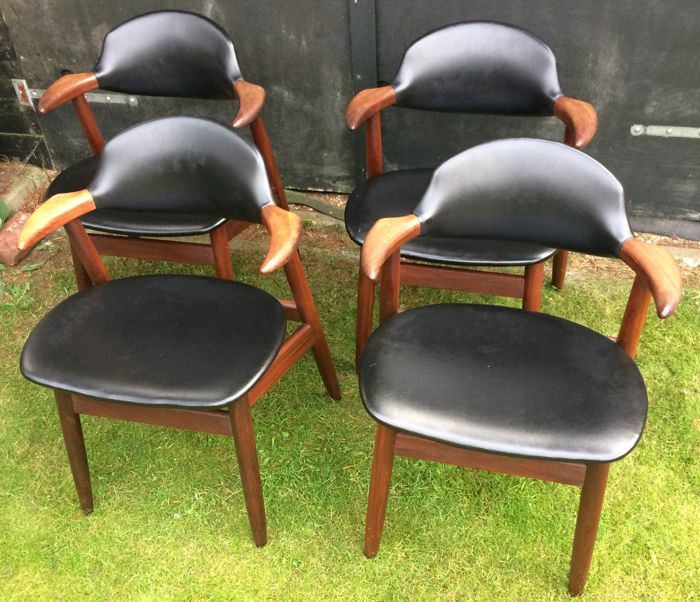 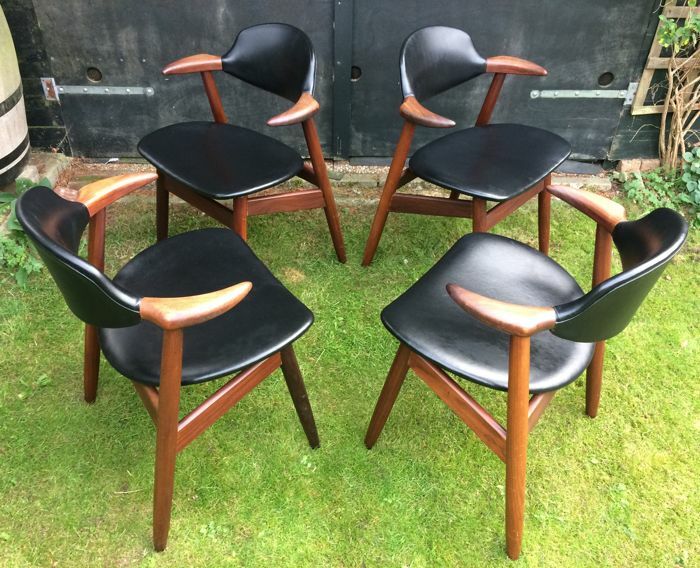 Set of four Cow Horn chairs designed by Tijsseling for the Dutch manufacturer Hulmefa from Nieuwe Pekela. 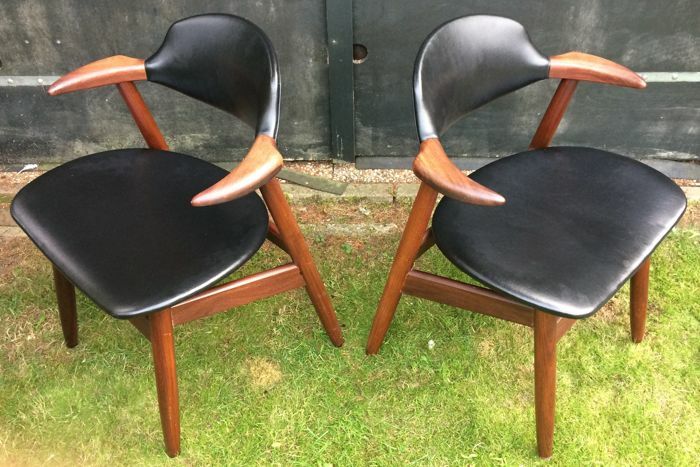 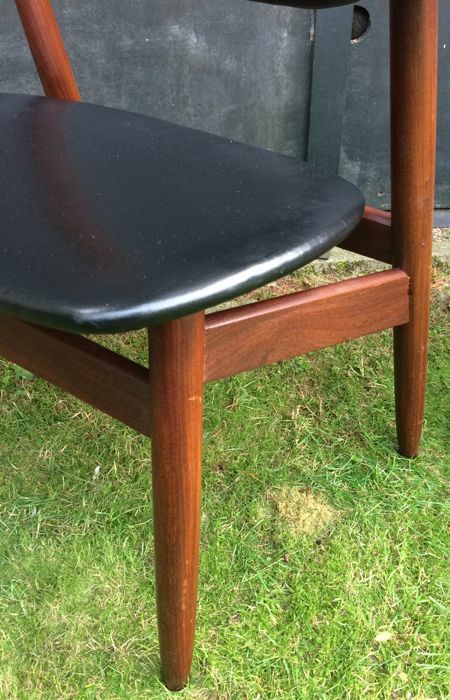 The chairs are made of teak with upholstery in black skai. 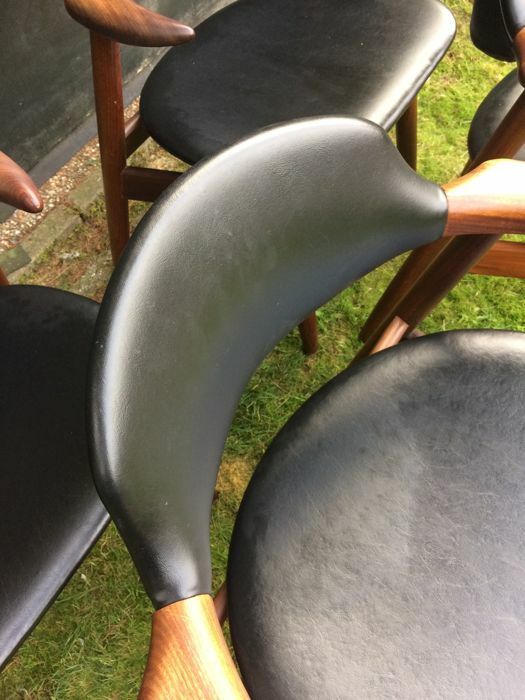 All chairs in almost perfect condition, only the lightest signs of use. 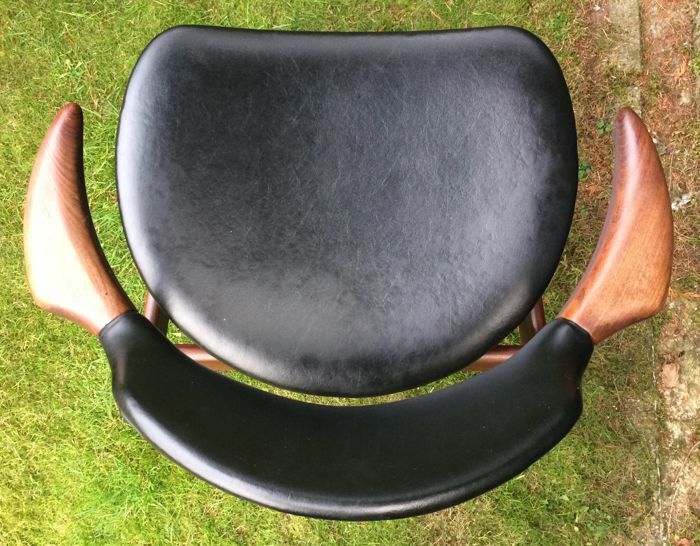 The upholstery is in perfect condition without any damage or wear. 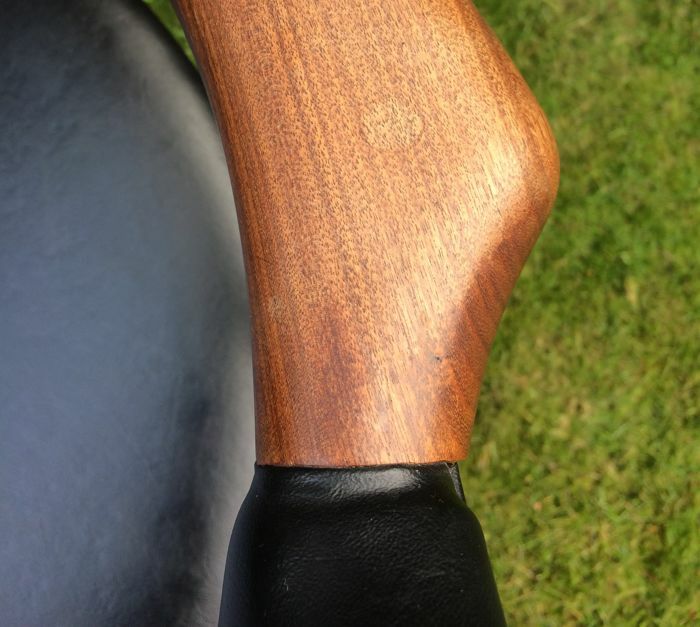 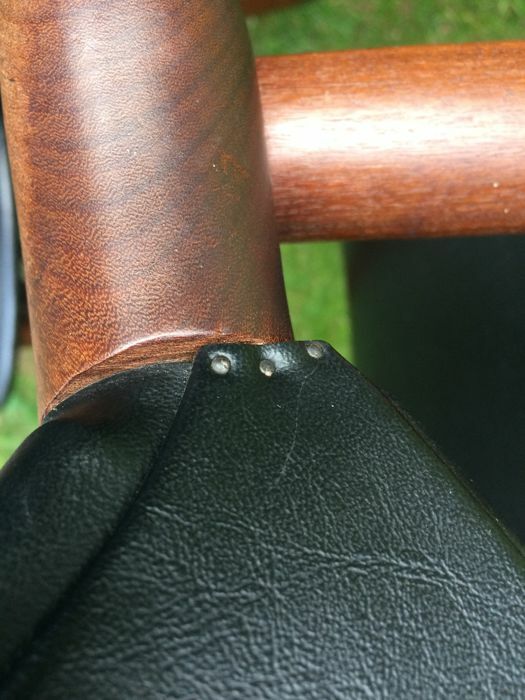 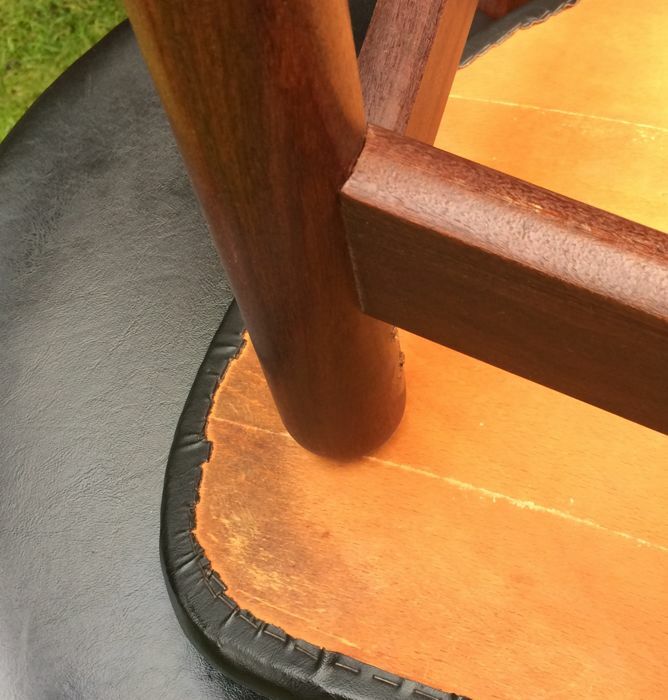 There is 1 chair with a tiny water stain on the armrest (see picture). 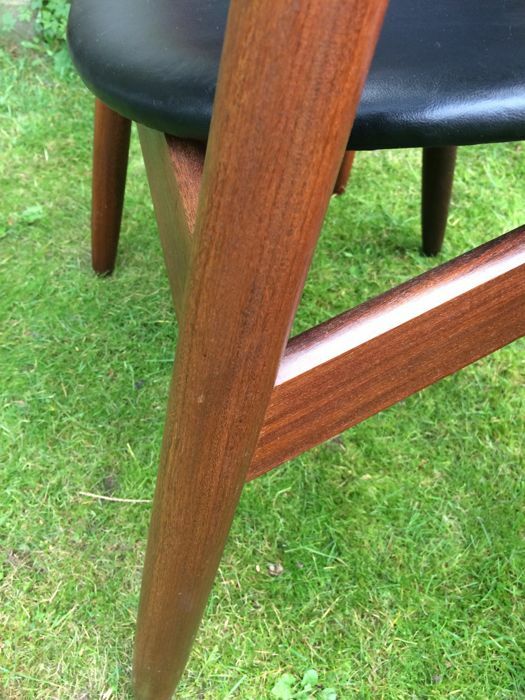 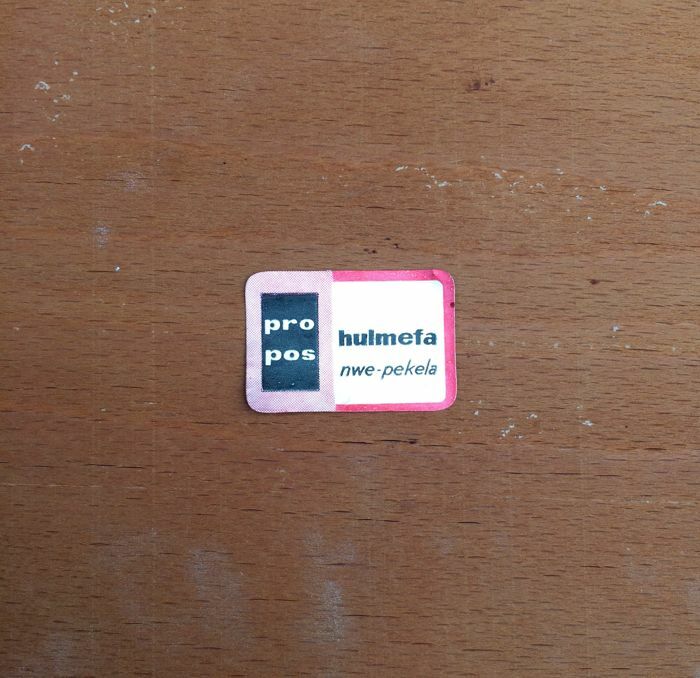 All chairs are marked with a company sticker (see picture). 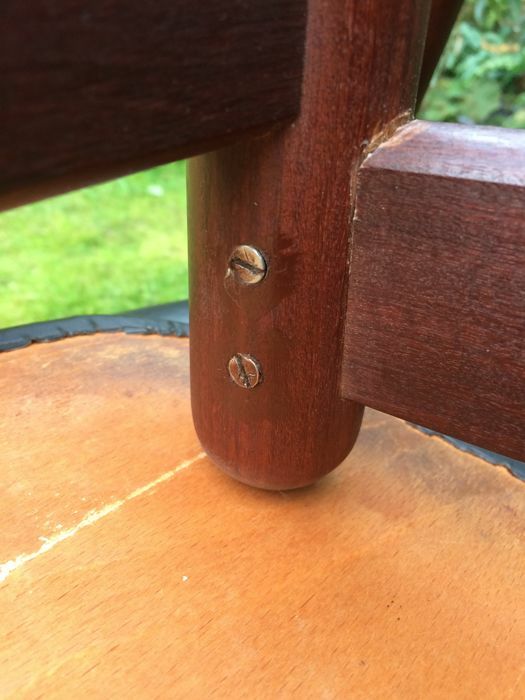 In the past the former owner used screws tio strenghten the frames, these screws aren't in sight. 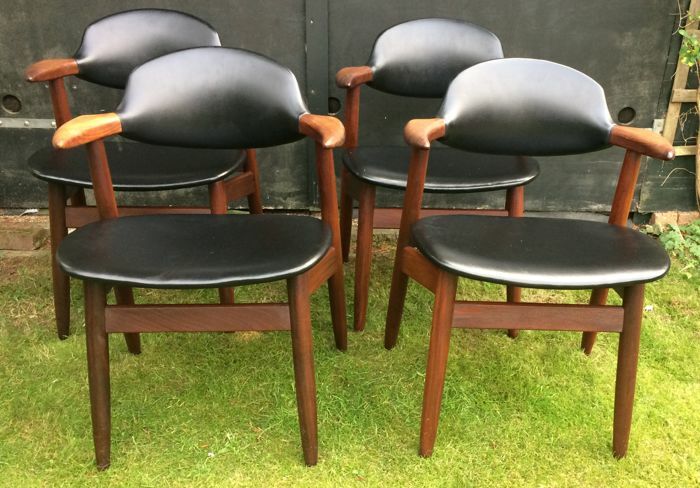 This lot must be picked up in Laren, Noord-Holland in the Netherlands! 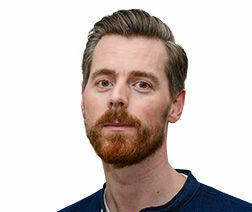 Vanwege de omvang of de kwetsbaarheid van dit kavel vereist de verkoper dat het wordt opgehaald in Laren (Nederland).